There are several great shows happening this weekend, including at least three featuring Theatre Intangible participants. Joe Nolan says June’s First Saturday Downtown Art Crawl will be one of the biggest of the year, and I have no reason to doubt him. A highlight for music fans will be T.I. participant Joe “Jocephus Brody” Hudson’s new monthly music series at The Space Gallery. The first installment will be Textbook Punk (T.I. participant Chris Murray of Square People). This all goes down Saturday night from 6pm to 9pm at the Downtown Arcade. On Sunday, you have a tough choice: Space music or free improv. There’s Gerber & Gerber w/ Torben Asp at Notable Blends at 5pm or The Greg Bryant Expansion feat. 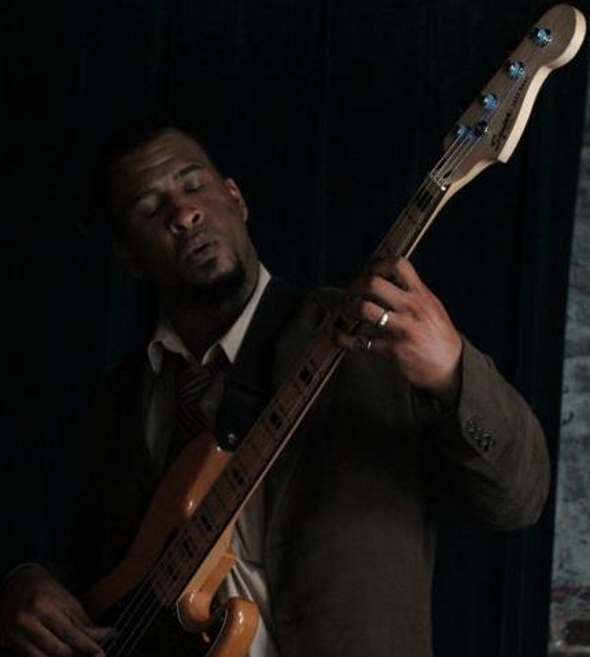 Paul Horton, James DaSilva, Giovanni Rodriguez and Josh Hunt at Nine48Jazz at 6pm. The Gerber brothers, Greg Bryant and Paul Horton have all appeared on T.I. in the past. Notable Blends is the private coffee club of the Davis brothers (of Davis Cookware in Hillsboro Village). Todd and Tony Gerber blew minds at the Tim Kaiser Brick Factory show last year. Torben Asp is a space musician from Denmark who will be in town for this very special show. Dr. Michael O’Bannon from Atlanta will be doing the video projections. Plus, FREE coffee! Sunday, June 2nd, 5pm, Notable Blends, 434 Houston Street, Nashville, Tennessee 37203. Nine48Jazz is one of Nashville’s most intimate jazz clubs. The Greg Bryant Expansion performance will be the LAST performance in their current space. Soon after, Nine48Jazz will be moving to a new location on Rosa Parks Blvd. Expect really amazing free improv music. More info on the Facebook event page. Sunday, June 2nd, 6pm, Nine48Jazz, 948 35th Av. North, Nashville, Tennessee 37209. Greg has a great podcast called JazzWatch, featuring interviews with jazz greats. Check it out here. Gerber & Gerber appeared on this T.I. episode. Greg Bryant and Paul Horton appeared on this one. Chris Murray, this one. I just got a tip about an under-the-radar show going on tonight at Casablanca Coffee in the Gulch. 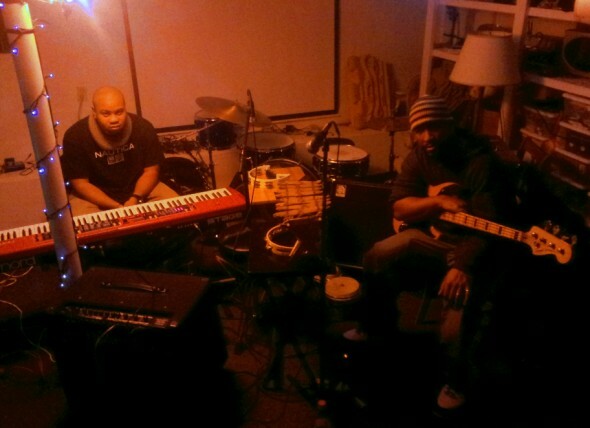 Free improv duo Concurrence (bassist Greg Bryant & keyboardist Paul Horton) will be joined by drummer John Westberry. Concurrence recently appeared on Theatre Intangible. Check out that podcast here. John Westbury also appeared on T.I. Check him out here and here. Concurrence (Paul Horton and Greg Bryant) live on Theatre Intangible. I’m proud to present Theatre Intangible podcast 92: Concurrence Artist Showcase! 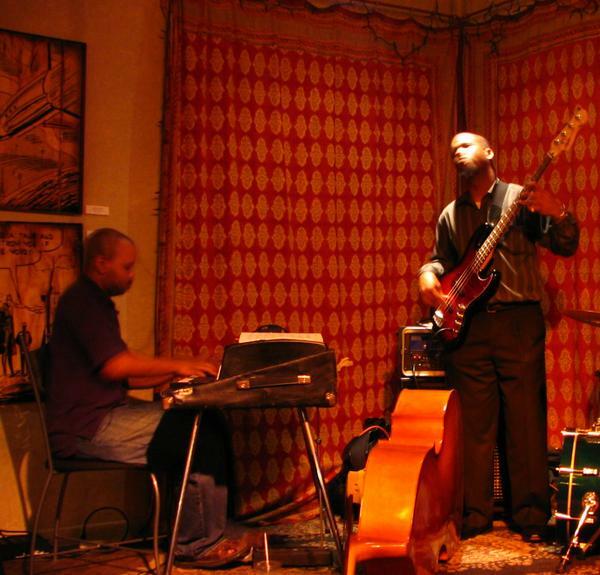 Concurrence is a Nashville jazz improv duo, featuring bassist Greg Bryant and pianist Paul Horton. Greg and Paul are key players in the Nashville jazz and improvisation communities. Greg is one of the organizers of Improv Undergound, a monthly Nashville concert series dedicated to jazz and improvisational music. The series is currently on break, but Greg hopes to bring it back in 2013. Concurrence is gearing up for several live appearances in 2013. I’ll post the dates when they’re announced. You can hear more of Concurrence on their Bandcamp page. We recorded this episode on November 13th, 2012 in my basement studio. Greg plays bass and percussion. Paul plays Nord Stage 2 keyboard, melodica, samples, and percussion. I mixed live to stereo on a Marantz digital field recorder and mastered the recording in Wavelab 7. It was an honor to work with Concurrence and to witness the creation of the improvised set you’re about to hear. For more info, check the show notes at theatreintangible.com. And now, here is episode 92: Concurrence Artist Showcase.